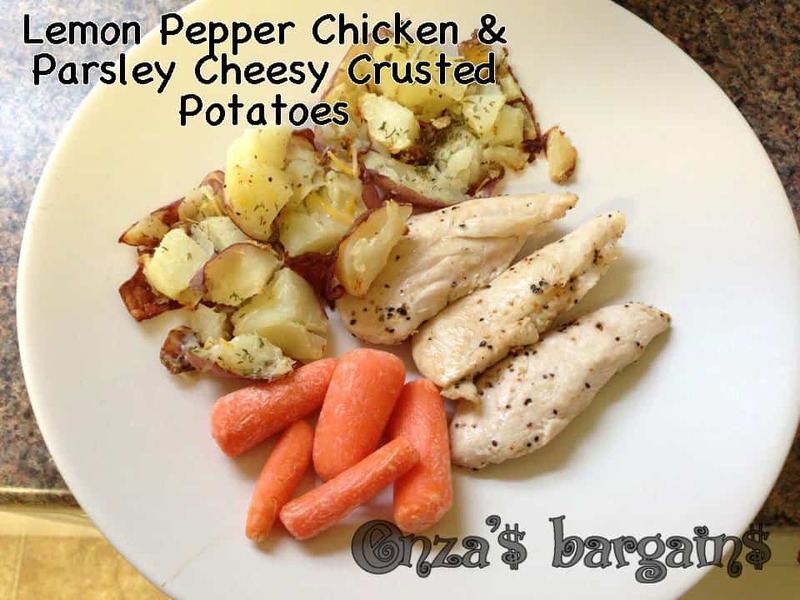 Here are two super duper easy and quick recipes for Lemon Pepper Chicken & Parsley Cheesy Crusted Potatoes Recipes. I had to throw a few items together that wasn’t fast food and I wanted something that was more of a comfort food! Plus the less ingredients, the cheaper the meal! I was shocked that not only was it yummy but my daughter loved it too. We are both very picky eaters! The chicken is very easy to make. Add some olive oil to the bottom of your pan. Add chicken. 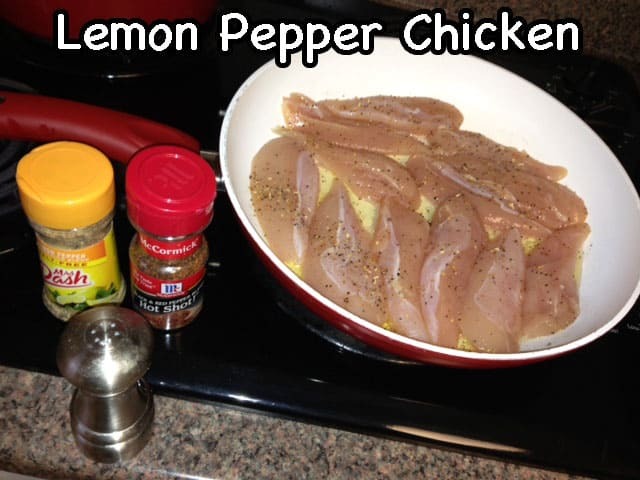 Season with Red and Black Pepper, Lemon Pepper and Salt. Turn heat on to medium and cover it a bit so it doesn’t splash. Once it is cooked on a side. Flip tenders over and recover until chicken is cooked. Set oven to 400 degrees. 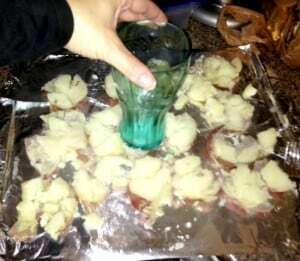 Boil the Red Potatoes. 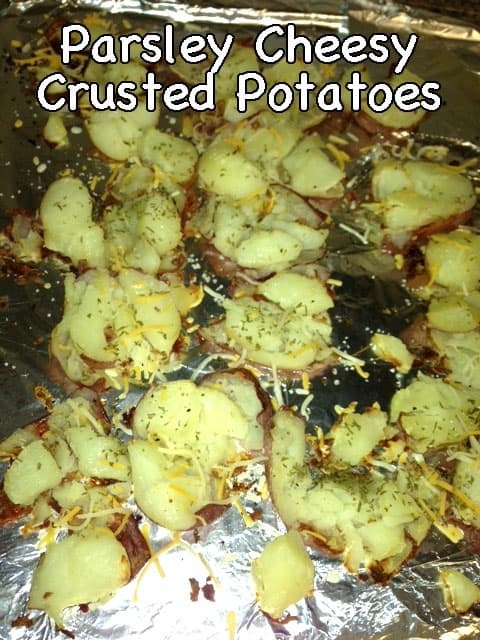 Cut them in half and place them on a baking sheet that has been greased with Extra Virgin Olive Oil. Smash them (I used a glass) and add a little bit of Olive Oil on the potatoes, some salt, pepper, parsley, and a little bit of Rosemary (optional). Place in oven for 20 minutes. That is me smashing the potatoes. Right when you take the potatoes out add shredded cheese and if you would like margarine so it melts right on the potatoes! OPTIONAL: Serve both with ranch.